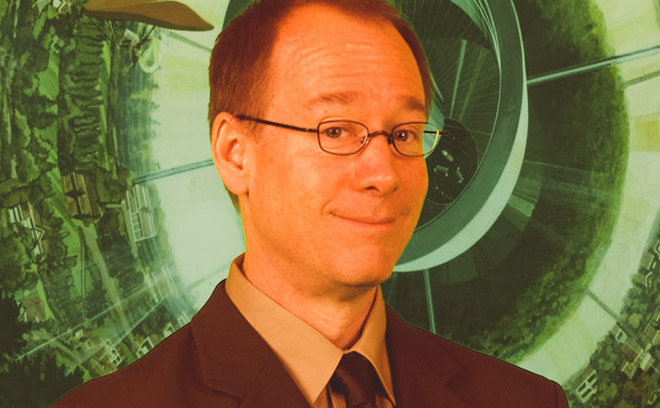 Joel Hodgson is an American writer, comedian, and television actor best known for creating Mystery Science Theater 3000 (MST3K) and starring in it. He began his career in seventh grade as a magician and ventriloquist. Upon graduating high school, he moved to Minneapolis to attend Bethel College to study theatre and mass media. In 1982 he moved to Los Angeles to pursue comedy and soon became a regular at several comedy clubs. He subsequently made five appearances on the Letterman show, as well as four on Saturday Night Live as a guest act. In 1988, he built three robot puppets and created MST3K, which originally aired on KTMA, before becoming one of the first two shows to be picked up by the Comedy Channel (the forerunner of Comedy Central). After its 100th episode in 1993, Joel left MST3K. Joel's post-MST3K projects and contributions include Honey, We Shrunk Ourselves, You Don't Know Jack, Jimmy Kimmel Live, and Everything You Need to Know. He is currently collaborating with fellow cast members of MST3K under the name Cinematic Titanic, performing live and producing content for DVDs and direct download.